1 A None No Power Seat 1 A has extra legroom however, the proximity to the lavatory may be bothersome. 1 C None No Power Seat 1 C has extra legroom however, the proximity to the lavatory may be bothersome. 11 A None No Power Seat 11 A is an Economy Class seat that is missing a window. 11 F None No Power Seat 11 F is an Economy Class seat that is missing a window. 2 A None No Power Seat 2 A is a standard Business Class seat that is missing a window. 2 D None No Power Seat 2 D has extra legroom however, the proximity to the lavatory may be bothersome. 2 F None No Power Seat 2 F has extra legroom however, the proximity to the lavatory may be bothersome. This seat is missing a window. 20 A None No Power Seat 20 A has limited recline and the proximity to the galleys may be bothersome. 20 C None No Power Seat 20 C has limited recline and the proximity to the galleys may be bothersome. 20 D None No Power Seat 20 D is a standard Economy Class seat however, the proximity to the galleys may be bothersome. There may be limited or no overhead storage bin space, as it is often used for crew and safety equipment. 20 F None No Power Seat 20 F is a standard Economy Class seat. There may be limited or no overhead storage bin space, as it is often used for crew and safety equipment. 21 D None No Power Seat 21 D has limited recline and the proximity to the galleys may be bothersome. There may be limited or no overhead storage bin space, as it is often used for crew and safety equipment. 21 F None No Power Seat 21 F has limited recline and the proximity to the galleys may be bothersome. There may be limited or no overhead storage bin space, as it is often used for crew and safety equipment. 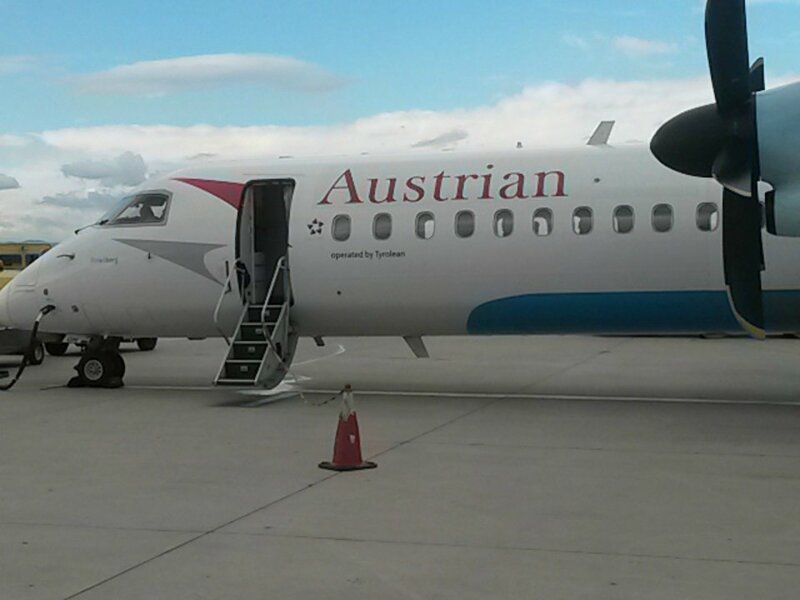 Austrian Airlines offers a snack or small meal depending on the length of flight and time of day. Complimentary beverage service is also offered. 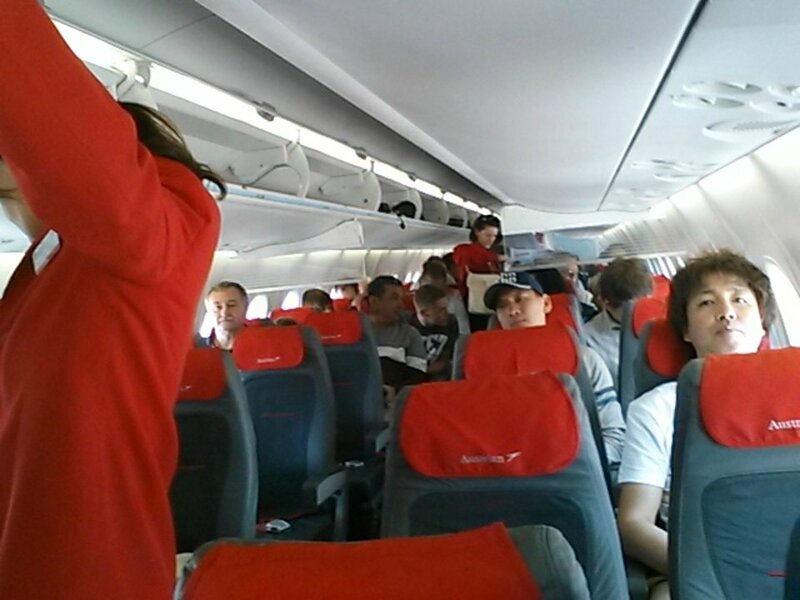 Austrian Airlines' Bombardier Q400 seats a total of 76 passengers in a one class configuration. 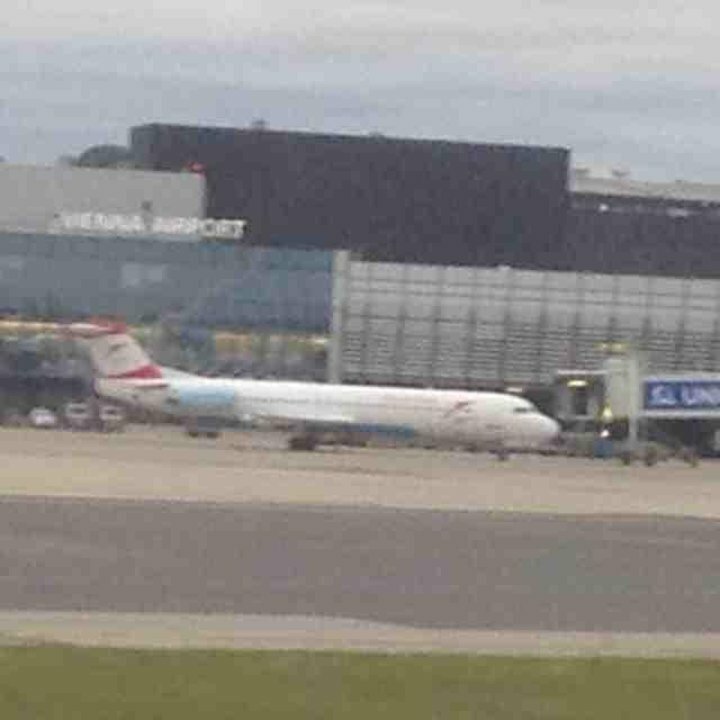 This aircraft is primarily used on short and medium haul flights. Small seat but decent leg room for a 6'2" guy. 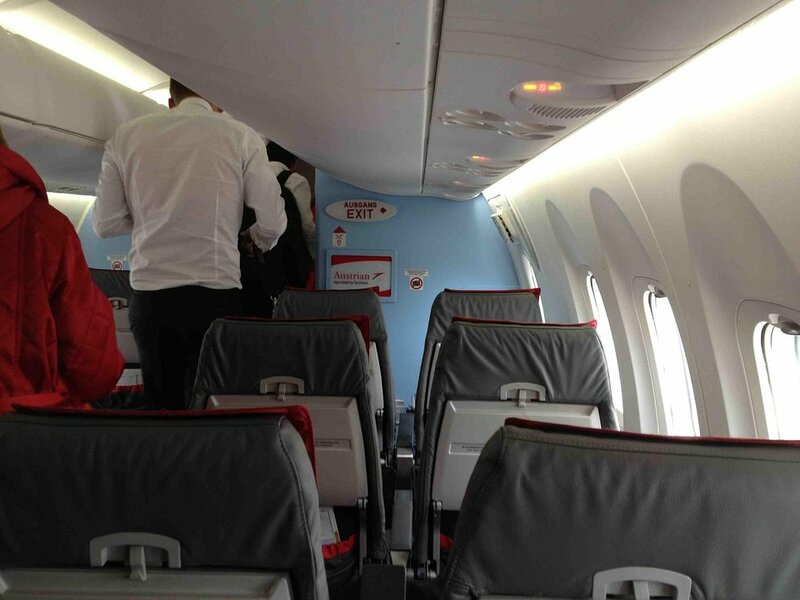 You can last 40+ minutes on a VIE-KRK flight but trips longer than this could be painful. 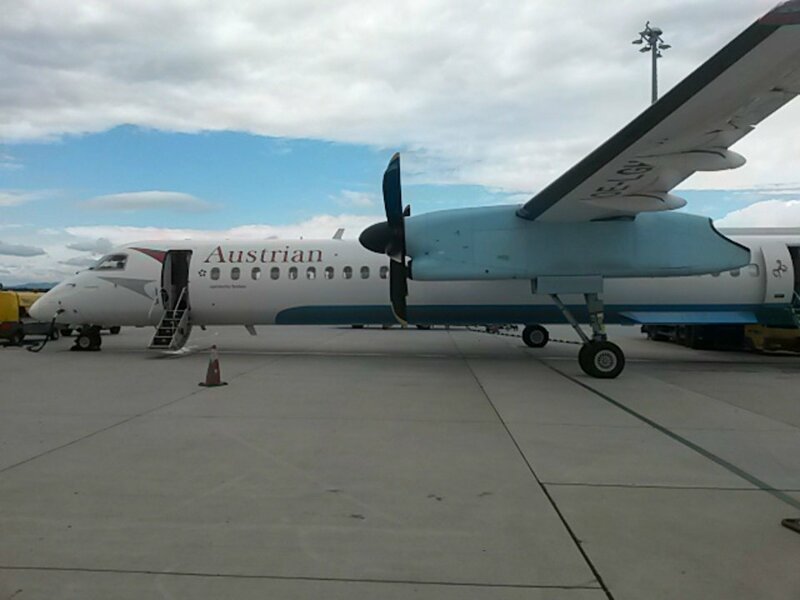 Austrian flies 1 versions of Bombardier Q400.